The rising popularity of snowmobiles is easy to understand. Snowmobiles provide access to impressive back country during the winter months and are both fun and inexpensive to operate. If you are searching for a new or used snowmobile, your search has ended here on Export Portal. Export Portal's Snowmobile Store is your best online source for all your snowmobile needs. We are one of the world's most extensive online marketplaces dedicated to Snowmobiles linking sellers with buyers. 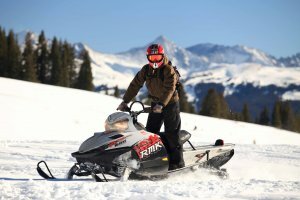 Export Portal offers complete lines you want to own from our wide selection of new Snowmobiles including Antique/Classic Snowmobiles, Touring Snowmobiles, Trail Snowmobiles, Performance Snowmobiles, Mountain Snowmobiles, Youth Snowmobiles and others to enjoy the fun and exciting adventures on a quality machine. In addition to our new selection of new Suzuki, Arctic Cat, Scorpion, Kawasaki, Honda or Yamaha snowmobile makes, we pride ourselves on having the richest selections of used snowmobiles anywhere in the world ready for immediate delivery. When you are purchasing snowmobiles on Export Portal you can be sure that you are buying a high quality powersports vehicle. Winter sports call also for snowmobile gear and accessories to keep you warm and safe. Browse our wide selection of snowmobile helmets, snowmobile clothing for men and women, snowmobile jackets, snowmobile boots, gloves or bibs. Do not forget about the base layers such as snowmobile balaclavas, socks, winter layers and everything for keeping warm while snowmobiling.